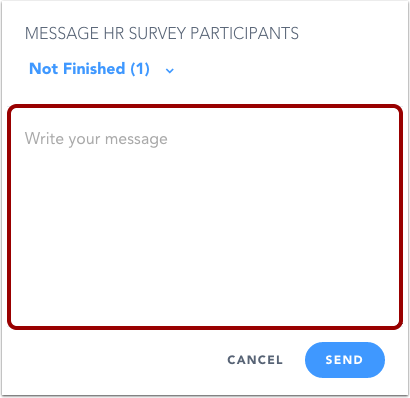 How do I send a message to survey participants? 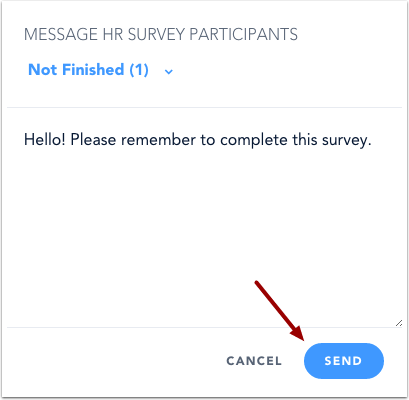 Once you have distributed a survey, you can message survey participants. Messages are sent to the email address in each learner's profile. You can select recipients according to course status. In the Author menu, click the Surveys link. 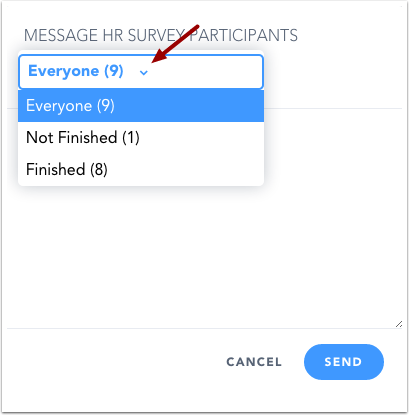 On the Surveys page, click the name of a survey. Locate the distribution list you want to view. You can use the search field  or the Sort & Filter drop-down menu . Click the name of the distribution. On the survey results page, click the Message icon. 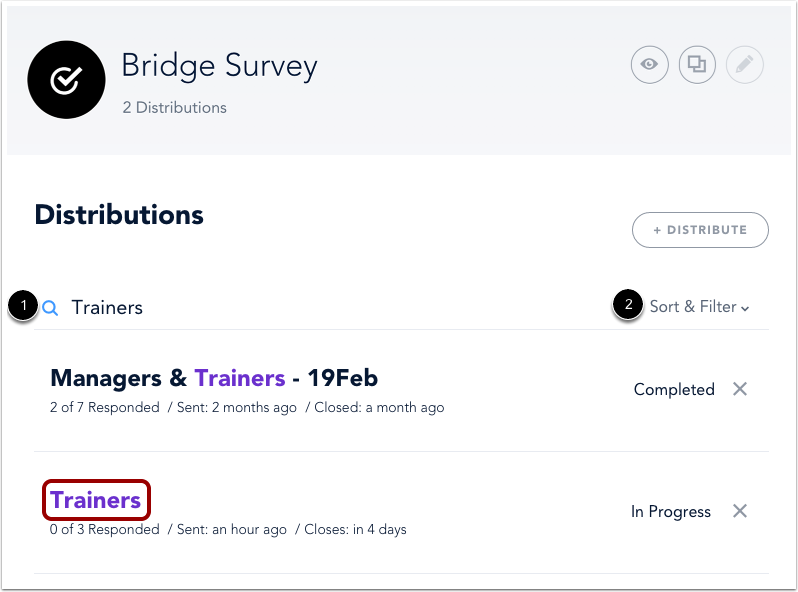 In the status drop-down menu, select the participants you want to message according to survey status. In the text field, enter the content of your message. Previous Topic:How do I view survey details? Next Topic:How do I duplicate a survey? 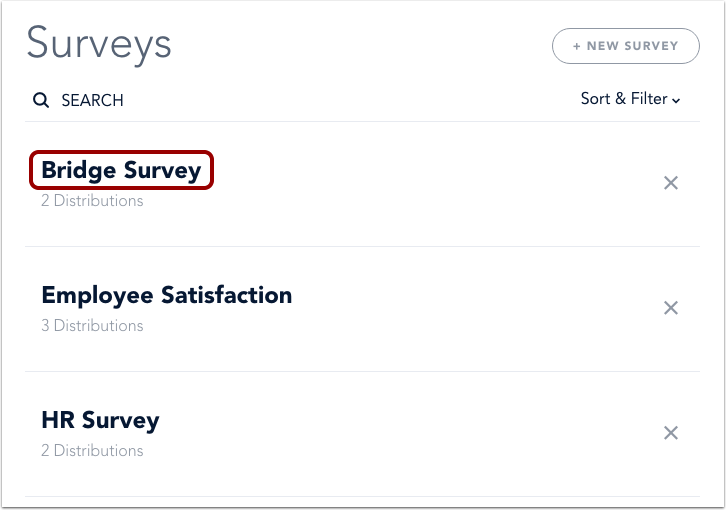 Table of Contents > Manage Surveys > How do I send a message to survey participants? How do I view survey results? How do I duplicate a survey? How do I view survey details?